There were 2 posts published on January 19, 2018 (this is page 1 of 1). Only 20 years old, Mr. Dixon has been arrested 19 times over the last four years. With his attitude, I am not sure how managed to get all that time outside of jail. Friends and neighbors have set up a GoFundMe for the victim. A Raleigh man was arrested Wednesday, less than a week after a woman was stabbed six times outside a Food Lion in Raleigh, police said. 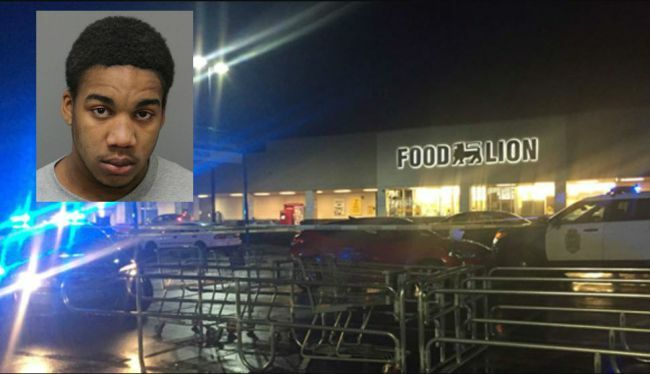 Khawan Dixon, 20, of Milbank Street in Raleigh, is charged in connection with the attack that happened around 6:30 p.m. Jan. 11 in the parking lot of a Food Lion in the 1100 block of N. Raleigh Boulevard, police said. Police said the woman was near her car when a male suspect came up to her and tried to rob her. He then stabbed her three times in the head and three times in the back, police said.The suspect left the scene and was able to get away with nearly $1,000 worth of property, according to a Raleigh Police Department report. Amazon has a transparency problem.Three years ago, the retail giant became the last major tech company to reveal how many subpoenas, search warrants, and court orders it received for customer data in a half-year period. While every other tech giant had regularly published its government request figures for years, spurred on by accusations of participation in government surveillance, Amazon had been largely forgotten. Eventually, people noticed and Amazon acquiesced. Since then, Amazon’s business has expanded. By its quarterly revenue, it’s no longer a retail company — it’s a cloud giant and a device maker. The company’s flagship Echo, an “always listening” speaker, collects vast amounts of customer data that’s openly up for grabs by the government. But Amazon’s bi-annual transparency figures don’t want you to know that.